New Cartoon: Boink Boink Basement! 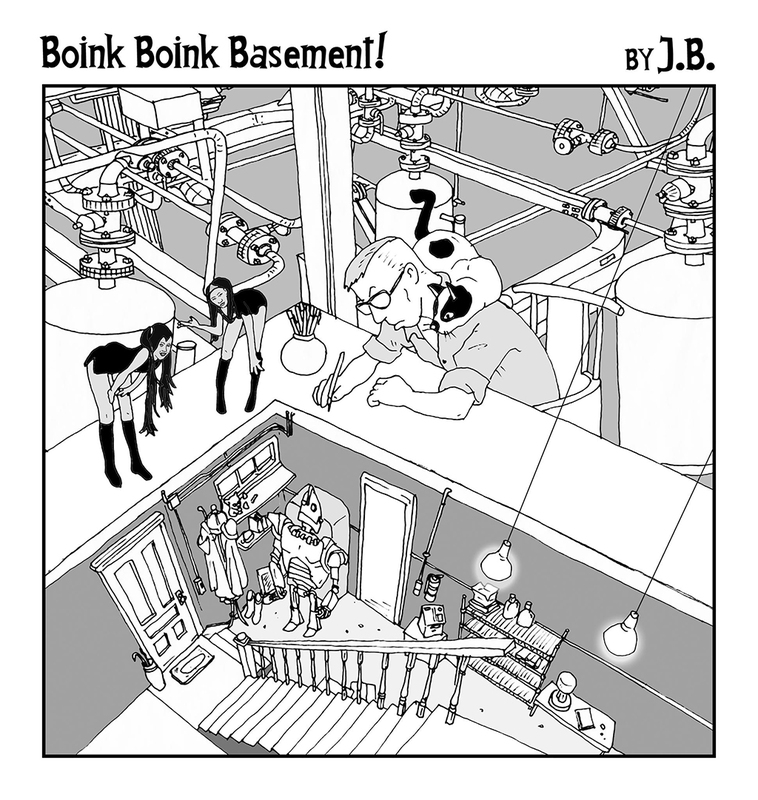 Sam Sam makes her cartoon debut in Boink Boink Basement!, our latest offering from artist J.B.
We think she fits right on with the myriad other fascinating elements in this surreal drawing. And snoopervising is one of the things she does best in creative settings, as can be seen in this previous post. From our friend and fellow traveler Julia More, aka The Synth Witch. You can see Carmen’s previous appearance here. 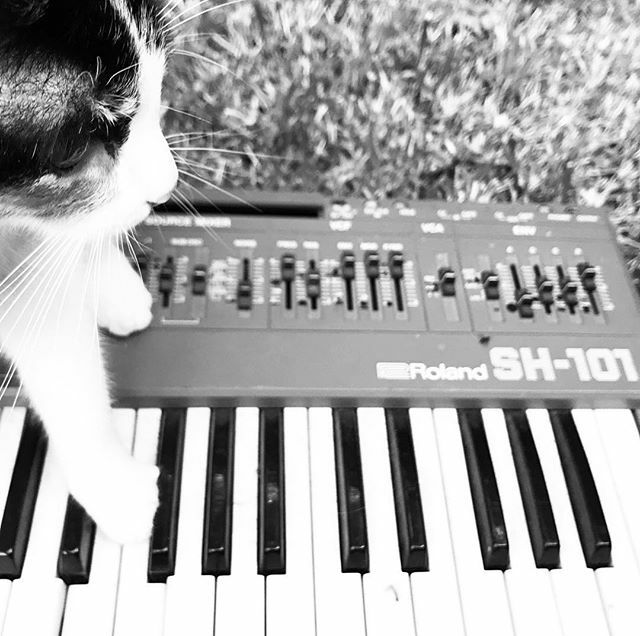 Pretty picture of a tuxedo cat that bears a strong resemblance to Sam Sam (minus the nose smudge) with a classic Roland SH-101 synthesizer. From verzerrung on Instagram. Cat with Moog Minitaur bass synthesizer. 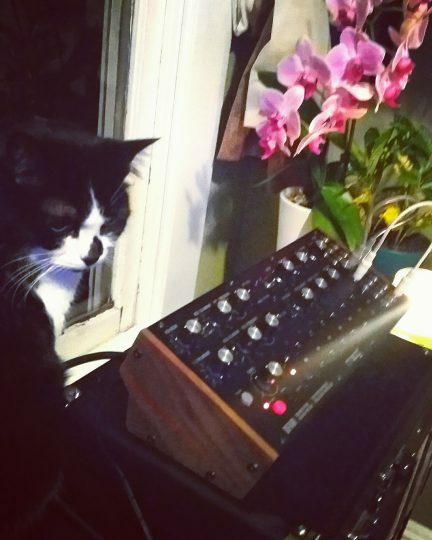 Photo 📸: by lady.olive on Instagram, shared by our friends at Moog Music, Inc.
Adorable video of Apple the cat playing a Korg keyboard. By Damien Olson via Instagram.